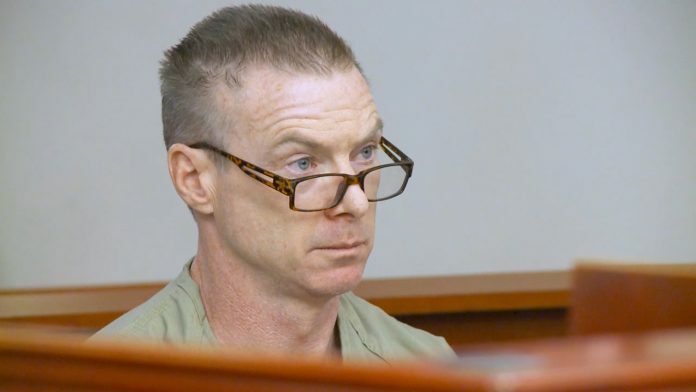 SALT LAKE CITY, Utah, June 27, 2017 (Gephardt Daily) — A Salt Lake City man pleaded guilty Tuesday morning to killing his 72-year-old estranged husband, restaurateur John Williams, in a fire last May. Craig Crawford, 48, waived his right to a preliminary hearing and pleaded guilty in 3rd District Court to first-degree felony aggravated murder and first-degree felony aggravated arson. In exchange for his guilty plea, prosecutors agreed not to seek the death penalty. Crawford, who admitted he started the fire on May 22, 2016, knowing Williams was inside the Capitol Hill home they shared, will be in court again Friday for a scheduling conference that will set a date for the sentencing hearing. Judge James Blanch will then decide whether Crawford will serve life in prison with or without the possibility of parole. Before the fire, Williams had filed for divorce from Crawford and sought a restraining order. Williams was trapped in the home at 574 N. East Capitol St., and neighbors reported seeing Crawford watering plants outside the house as his husband called for help. Crawford was arrested and booked into the Salt Lake County Jail later on May 22 after Williams’ body was found inside the residence. The autopsy report said Williams died of smoke inhalation. Williams was the co-founder of Gastronomy, Inc., the company that runs the popular Market Street Grill restaurants along the Wasatch Front. His May 31 funeral at Abravanel Hall was attended by nearly 2,000 people.